Discussion in 'Pop & Justice' started by CaliforniaKing, Apr 4, 2016. So I never make new threads, but I can't find a general discussion/7th album discussion thread for new PINK, so I figured I'd start us off. 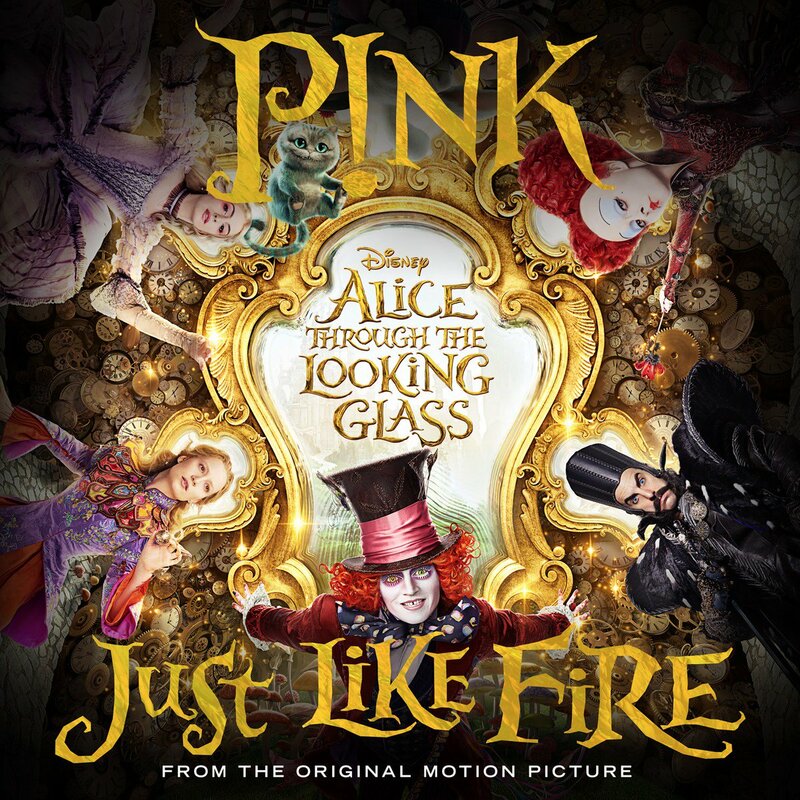 Though not confirmed to be on her new album, new single JUST LIKE FIRE (from the new movie 'Through the Looking Glass') is out on April 15th and was co-written by Pink, Max Martin, Shellback and Oscar Holter. The song was produced by Martin, Shellback & Holter. And he worked on songs from 'Breathe In, Breathe Out' by the Duffster, 'The Original High' by AdLambz, and often works with Bonnie. Color me excited! I hope we get a full record this year (and she's been recording for a while, so it looks possible). Txetxu and 2014 like this. The Truth About Love was really a massive success. Wikipedia tells me that it sold 7 million copies worldwide, and then you have the singles that were everywhere: Blow Me (One Last Kiss), Try and Just Give Me a Reason. Looking forward to her next LP! I'd be surprised if a Martin/Shellback track was made just for a soundtrack, it'd make sense to have it attached to a movie to help launch a comeback. This is going to be P!nk's Love Me Like You Do, isn't it. Not perch't. aaronhansome and Poker Pro like this. I never think I do, but I kinda miss P!nk. She's one of those artists that even if you aren't a stan you always welcome her back and take interest in what she's doing. Deleted member 5343, kal, eddy2375 and 3 others like this. Why am I weirdly surprised there is a sequel for this movie? Burton films aren't exactly cash cows lately, but what do I know, I guess the last one made bank on ads and merch? Anyway, I'm here for p!nk if its as good as avril's track for the first movie! Please, Alecia, for the love of all that is good and holy, put the mom-rock to bed now. She's got such a brilliant voice but her tried-and-true sound reached its peak in 2008 and is in need of a huge update/overhaul. Deleted member 5343, TheDangerZone, Veritaserum and 3 others like this. Exactly what I was thinking. I had no idea there was a sexual! Looking forward to the film more than the song... it's just going to be more angry angst isn't it? ?God,I really do she'did switch her sound up a bit and work with different people. It's been the same old since I'm Not Dead. I was a proper stan for the first three records then lost all interest after her sound became homogenised. God, who asked for this film to be made? Veritaserum, heavymetalGAGA, Kyle. and 2 others like this. I had no idea there was a sexual! This movie actually has a much more fun director than the first so I'm very cautiously excited. And what a dream team of producers for the song! No RnB please but also no more Blow Me / Raise Your Glass and all those boring soundalikes. Give me an album full of Sober, Try and some new uptempo formula. She badly needs to switch up her sound, but this will be Raise Your Glass/Since You've Been Gone pt 374. Jacques, Smooth Criminal and Musiquelover64 like this. I'd rather have an updated Try This. She can pull off R&B excellently as demonstrated by her debut but she was never happy pursuing that sound and has stated numerous times she only did it to get her name out there. Although she later did 'Stupid Girls' but that was meant to be done as a spoof anyway. For me her high points are 'Trouble' and 'Sober.' No more 'So What' or 'Raise Your Glass' please Pink. joe_alouder, LP, MYCAL and 3 others like this. I'd rather have an updated Try This. Try This almost ended her career, not sure she'll go back to that. It did 1 Billion worldwide at the Box Office. I really hope she changes things up. Everything since I'm Not Dead has felt like one huge blur.